Pendant Size 4 x 3 inches 3-22 mm diameter. See picture with penny for size comparison. Additional information: For more information, please see our comprehensive guide to African-made beads, African Beads: Jewels of a Continent, hardcover, 216 pages, 163 color photographs, available from Africa Direct. 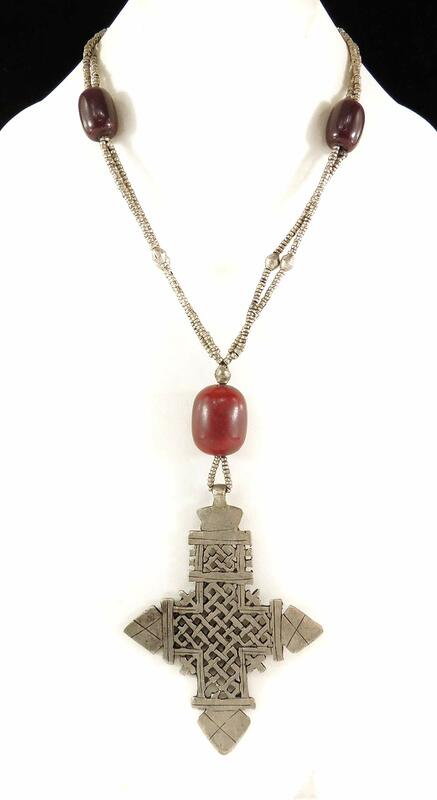 As with many pieces of traditional Ethiopian jewelry, these small "telsum" pendants were worn as protective amulets. 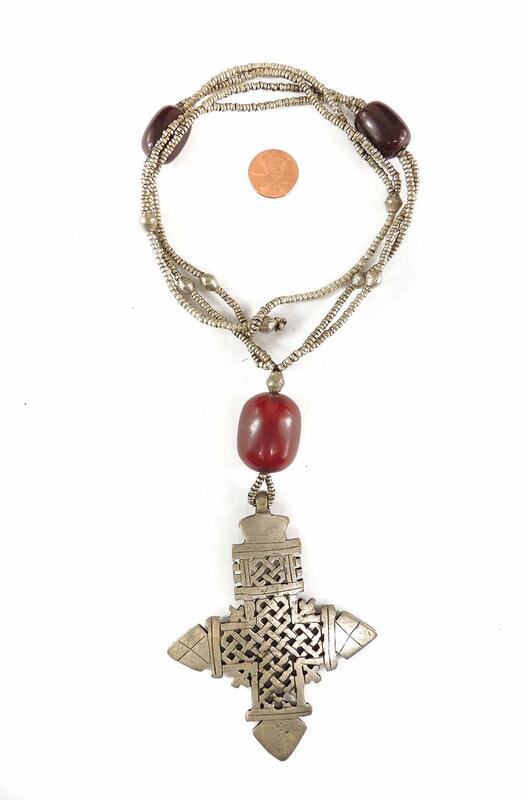 Specifically, triangular pendants were worn to guard against the evil eye and crescent-shaped pendants were worn to guard against the crescent moon. To learn more about these interesting pendants please see AFRICA ADORNED (Fisher).